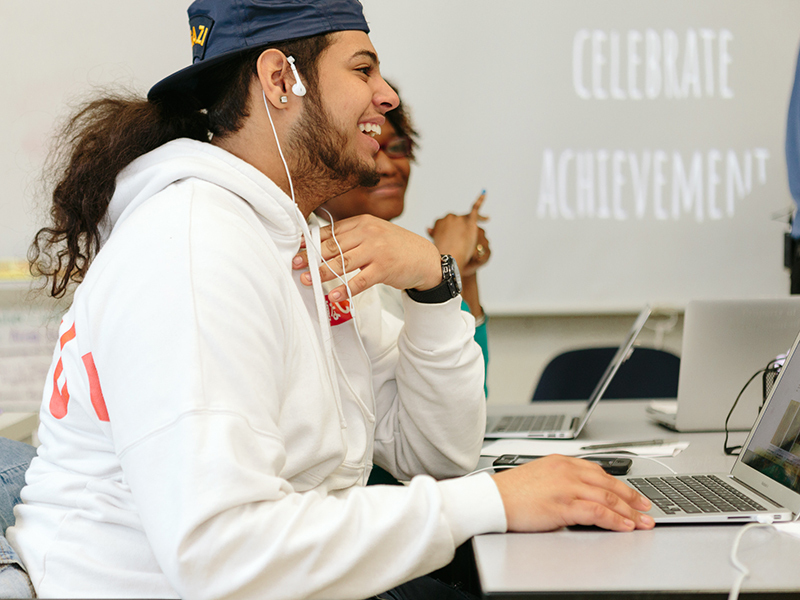 Bronx Arena students participate in Group, a weekly advisory class designed to support students in non-academic areas. The class occurs every Tuesday between Learning Labs and Arenas (Bronx Arena’s two main content blocks), and consists of students from the same Arena. It is led by the Advocate Counselor (AC), who facilitates community-based discussions and activities. There is no set curriculum for Group, and topics are determined based on what AC’s and students think are important. For example, students might discuss how well the Arena is functioning or any common goals they want to set (e.g. the entire Arena completing 100 credits in a months). Students must participate in at least nine advisory classes and six one-on-one meetings with an AC to receive credit for Group. Group provides Bronx Arena students with unique opportunities to build relationships and share learning experiences. Since students in Group already spend four hours a day together in Arenas, many of the goals of a traditional advisory class (building communities, trust, etc.) have already been accomplished. This provides students with opportunities to deepen their relationships, acknowledging and sharing real challenges they are having and problem-solving them with each other. It also provides a normative component to student relationships. Given the highly personalized nature of their academic coursework, students are never working on the same thing as a group during Arena time. During Group activities, students have the chance to work together on the same thing, creating bonding opportunities over common experiences. A unique outcome of the student relationship-building during Group is increased student advocacy, as students have organically started to hold each other accountable for individual goals (attendance, work completion, etc. ).